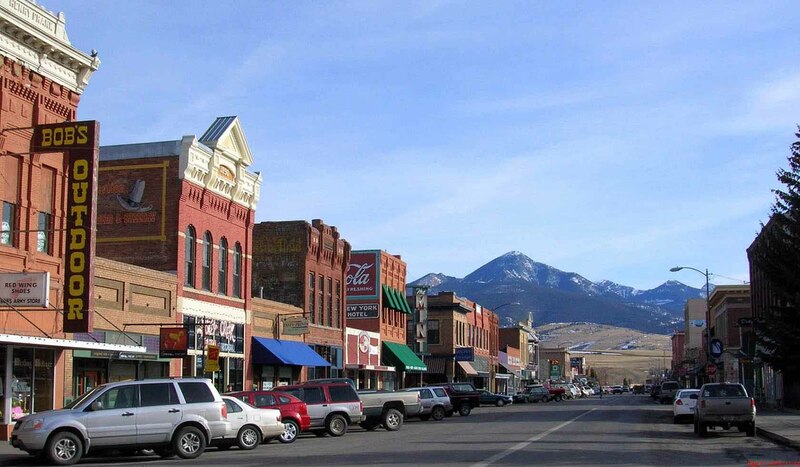 LIVINGSTON, along the Yellowstone River, offers an eclectic western town with friendly folk. Our historic downtown, depot center and Sacajawea park present a charming "step back in time" to the 1880's when the first cross country railroad to Yellowstone National Park and the West Coast was traveled on. Livingston is well known for our World Class fly fishing and so much more as we also tout a colorful palette of historic characters, ranchers and explorers, as well as contemporary artists, writers, performers and world class travelers. No stranger to the big scene, Livingston has played host to several TV and movie crews including "A River Runs Through It". With four majestic mountain ranges surrounding Livingston, the Absaroka Mountain range, the Bridger range, the Gallatin and the Crazy Mountains overlooking the city, along with our legendary Yellowstone river and the picturesque Paradise Valley to the south, it's easy to be inspired. While here, enjoy the best in Montana dining in a wide variety of unique restaurants and taverns serving local talented chefs of both fine dining and casual experiences, most serve eco-friendly locally grown favorites. And don't miss our two local breweries Katabatic and Neptune's. You'll be surprised by our quaint shops, art galleries, three museums and so much more. Summer time is full of fun for all ages ranging from the Livingston Roundup 3 day Rodeo, Depot Festival of Arts, monthly Livingston Gallery Artwalks, weekly Wednesday Farmers Markets on the Yellowstone River, the Hoot on Main Street and a swinging Summerfest Music event as well as so many events you have to stay up to dates on the local community calendar. If you crave recreation year round, there's rafting, kayaking, dog sledding, skiing, snowmobiling, of course, fly-fishing right on the edge of town almost every season. Want more ?...camping, trail rides, hiking, biking, enjoy hot springs and rock climbing nearby. We are also 52 miles from Yellowstone down through the beautiful and scenic Paradise Valley. If you are just wanting to relax with a "cool one" and put your boots up in the most picturesque town along the Yellowstone, come visit and kick back - it's Livingston! Get a sneak peek at www.discoverlivingston.com or contact the Livingston Area Chamber for first-hand information for your special trip to Big Sky Country.